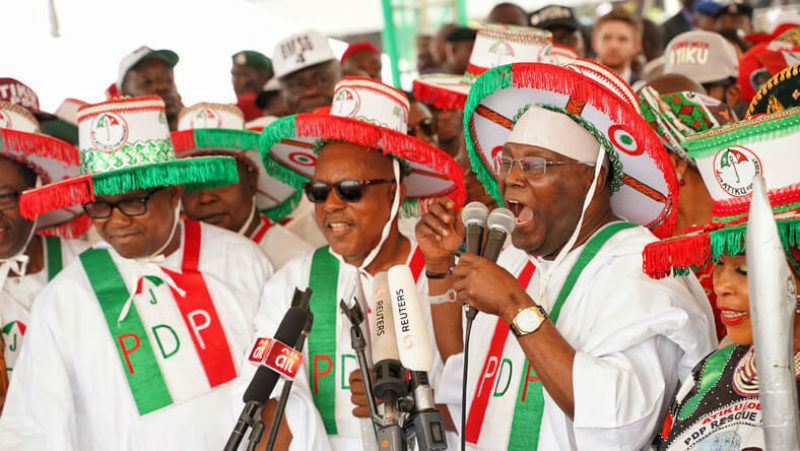 The Presidential Candidate of the Peoples Democratic Party, PDP, Atiku Abubakar took a swipe at President Muhammadu Buhari, the All Progressives Congress, APC Presidential candidate at the Lagos leg of his campaign rally today. The PDP presidential flagbearer told the cheering crowd of supporters that he will fulfil all the promises made on his campaign, unlike his APC counterpart who he derided for failing to deliver on the electoral promises he made in 2015. Abubakar stated this today, February 12 at the PDP Presidential campaign rally at the Tafawa Balewa Square, Lagos. The PDP presidential candidate assured Nigerians that he will restructure the country, create jobs and revive the economy. “Let me assure you, the people of Lagos and let me assure the people of the south west, you know I am not like APC, when I promise something I will do it. When I say I am going to do something I will do it. I promised Nigerians that I am going to restructure this country and I am going to do it. I promised Nigerians that I am going to create jobs, I have already been creating jobs and I will create jobs for you. “APC said they are going to create jobs, they have been looting jobs, we have the largest unemployment in the history of our country. These are not people you can trust. APC said there are going to secure this country. When they came we had insecurity in only the North East. Today we have insecurity in the North West and North Central. They have failed again. They said they are going to revive our economy. Today we are the headquarters of poverty in the world. I promise you I am going to revise all these”, he said. He promised to respect the institutions of government and the nation’s constitution as he will work with the National Assembly, protect the judiciary and respect the rule of law where no Nigerian will be harassed. He further called on the people of Lagos to vote for PDP in the coming elections. “If you elect your PDP governor, you are going to see the kind of wonder you have not seen before, because I know him, he can deliver on his promises and Lagos will be a different city again. Look at what they have done, our traffic cannot move on the day the president was coming, they removed all the trucks, no sooner he left, all the trucks are back. In PDP government you are not going to have this congestion again. Please people of Lagos vote all PDP candidates all the way”, he added.